Penny was the “real” owner of the Acura Integra, but because she wasn’t technically old enough to drive it when it was purchased, it was in her brother’s name. Bee Lee, her brother, was heavy into street racing the Teg and was also in a Hmong gang right along with that Johnny Xiong. Of course her parents thought that sort of thing was “a disgrace to the Hmong people” and if they knew her older brother, Toua, was into the same one they’d be horrified. Penny was horrified when Pakou told her that a Teg that looked just like hers had hit a kid. Her brothers often teased her when she drove. "Penny breakin’ the law, breakin’ the law!" That was nothing, but what would happen if this kid died and Bee was the driver? It was a little tacky to do Bee’s homework in exchange for working on the Teg. Penny made some money setting up her "flower and story cloths at [her] aunt’s stand at the farmers’ market." Did some homework for other kids too. Bee would be helping her by “installing the new valve guides.” Her sister, Sherry, was obviously disgusted she acted more like a boy, but that was too bad. The Teg was her passion and if she worked hard enough, she’d have it “totally slammed” and ready to race. It was a hot car and Penny was even making an embroidered harness for it. Johnny Xiong had his eye on Penny, but no way that was going anywhere because her brothers were too protective. The hard-core street racing still bothered her big time. She knew that Bee “could have been one of the racers the day the kid got hit on Lexington.” There was only one way to find out and that was to go undercover and do a little snooping herself. Sherry would love helping her throw on a little makeup and maybe she could snag a dress. Would Penny be able to pull this one off or would she be breakin’ the law? Would this be the end of her racing career even before it started? 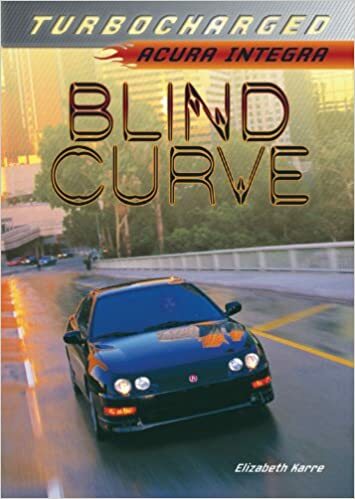 This is a dramatic, high-interest tale about street racing young readers will love. The characters in this story are very well-developed and the tale has just the right amount of tension to keep the reader turning those pages. Readers, especially reluctant ones, will love learning about the sport through the eyes of Penny, a girl with a passion for cars. The rivalries, the action-packed scenes, the Hmong culture, the mystery, and the sport of street racing pull this tale about the Acura “Teg” Integra together quite nicely. The scenario, save for the racing, is one many teens can relate to. In the back of the book is more information on the Actura Integra, including one that discusses the part’s of Penny’s car. Quill says: If you have a young reader, especially a reluctant one, who loves cars, the Turbocharged series will be of very high interest!